Looking to impress with your wedding day and create a create a modern meets organic wedding? Keep reading because this inspiration shot by Erika Delgado Photo at one of Miami's hottest hotels. A beautiful masterpiece of subtle design elements coming together to create a stunning one-of-a-kind wedding. By mixing natural wood elements with sleek modern pieces, see how you can have an elegant and unique day. Oh My Occasions explains their design choices in our slideshow. 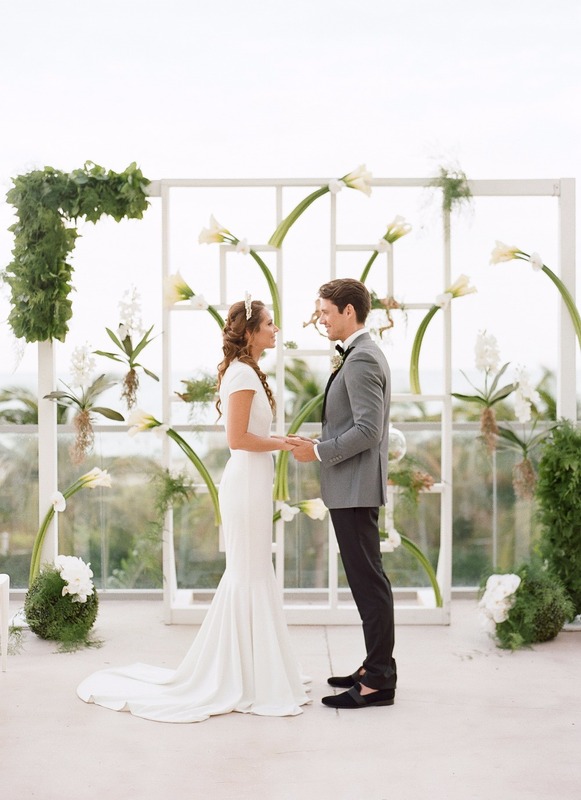 From the bride's cork wedding heels to the "geometric meets organic beauty" wedding ceremony backdrop. Be sure to look at every slide to see all they have to say about this jaw-dropping wedding inspiration. Oh and check out the wedding video of this gorgeous Miami wedding created by Key Moment Films.